Adventist members abroad join forces, send volunteers to assist efforts. 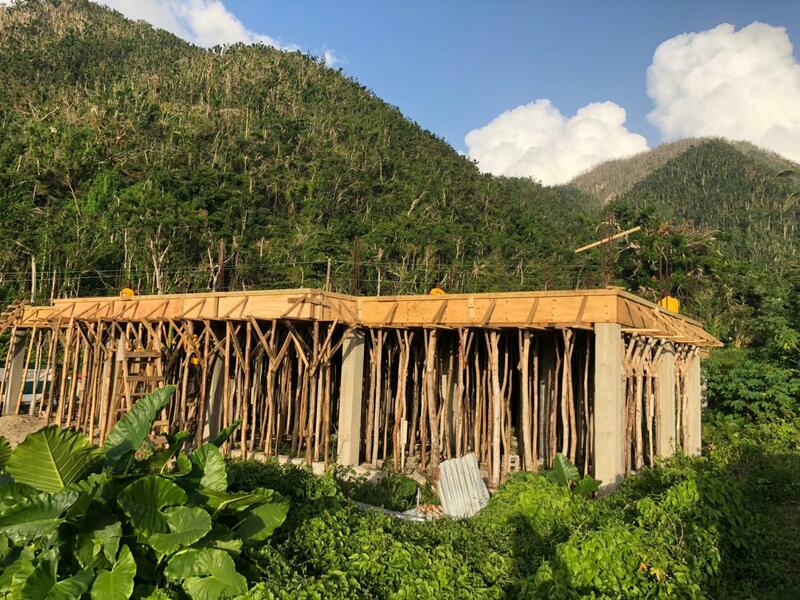 The Adventist Development and Relief Agency (ADRA) Dominica is currently transitioning from relief to rebuild, said the organization’s leaders in that Caribbean nation, after Hurricane María damaged houses, churches, and schools across the island last year. ADRA, the humanitarian arm of the Seventh-day Adventist Church, recently received a 20ft (6-meter) container from the Inter-American Division headquarters in Miami, Florida, United States, with buckets containing cleaning supplies. They are now being distributed in the communities affected. Another 40 ft (12-meter) container from Crawford Adventist Academy in Toronto, Canada, containing food and household items, was cleared by Customs on Jan. 22. Meanwhile, a team of 16 volunteers headed by Fitzgerald Kerr, a pastor from the North Eastern Conference in New York, United States, left Dominica on Jan. 19 after ten days of hard work on the new church building at Pointe Michel. The former church building is one of those leveled by Hurricane Maria. Volunteers were joined by local church members and Pastor Sherry Augustus and her team of four from Canada. While there, they also assisted two families from Egleston repair their roof, which was blown off by the storm. On Feb. 7, the Ambassadors group from Trinidad is expected to arrive to keep supporting the rebuilding efforts, said associate ADRA Dominica coordinator Priscilla Prevost, in charge of coordinating the teams of volunteers coming to the island. She said that they are expecting another team from the North Eastern Conference on Feb. 24. On the other hand, Maranatha Volunteers International (MVI), a supporting ministry of the Seventh-day Adventist Church, recently conducted an exploratory visit to work on the logistics before a group of volunteers carry out a project in the island later this year, according to MVI Volunteers Projects director David Lopez. “Maranatha volunteers…will be coming soon to help rebuild churches and build new churches in Dominica,” said Lopez. 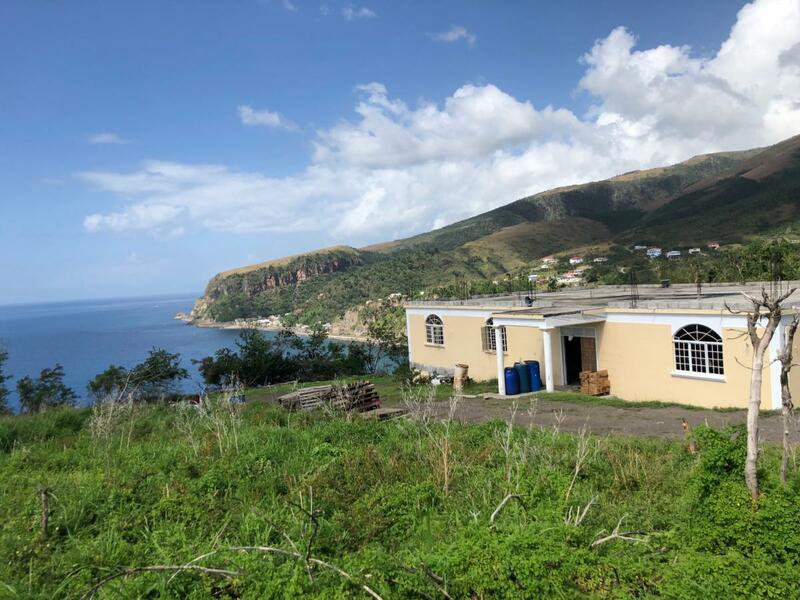 Prevost, who assisted Lopez in planning for housing and logistics for the upcoming projects on the island, said ADRA is thankful to receive all the church support it can get. “We are grateful for the contribution of our brethren,” she said. ADRA Dominica contributed to this report.